A team of scientists has documented atmospheric changes on Io, Jupiter’s volcanically active satellite, as the giant planet casts its shadow over the moon during daily eclipses. 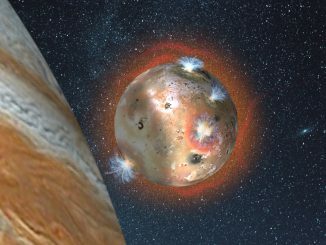 Io’s thin atmosphere collapses as the sulfur dioxide gas emitted from volcanoes freezes when shaded by Jupiter. The atmosphere reforms when Io moves out of eclipse and the ice sublimates. 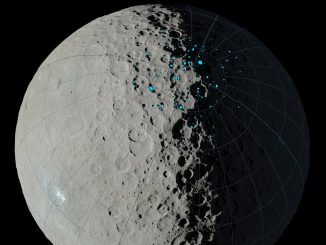 Scientists with NASA’s Dawn mission have identified permanently shadowed regions on the northern hemisphere of dwarf planet Ceres. 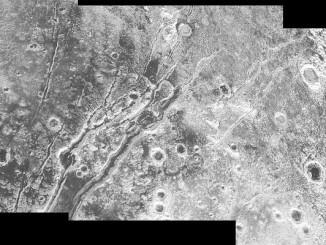 Most of these areas likely have been cold enough to trap water ice for a billion years, suggesting that ice deposits could exist there now. 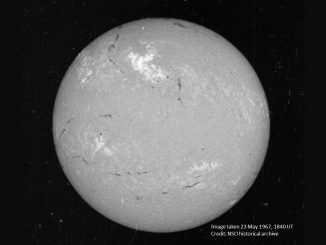 These permanently shadowed regions could be colder than those on Mercury or the Moon. 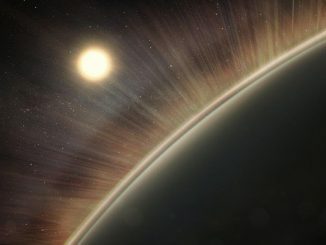 Using data gathered by NASA’s New Horizons spacecraft on its Pluto flyby in July 2015, the dwarf planet has some characteristics less like that of a comet and more like much larger planets, according to the first analysis of Pluto’s unique interaction with the solar wind — the charged particles that spew off from the Sun into the solar system at a supersonic 1 million mph. Five months after NASA’s New Horizons spacecraft flew past Pluto, knowledge about this distant system continues to unfold, yet the spacecraft is less than halfway through transmitting data about the Pluto system to Earth. 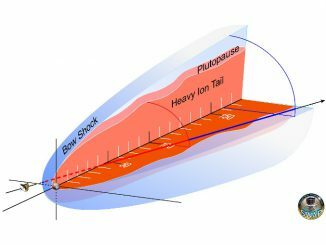 New Horizons science team members presented the latest findings at the American Geophysical Union (AGU) autumn meeting in San Francisco. Did Earth receive its water from comets, or geologically from within? Was the Earth dry and inhospitable to life until icy comets pelted the planet and deposited water on the surface? 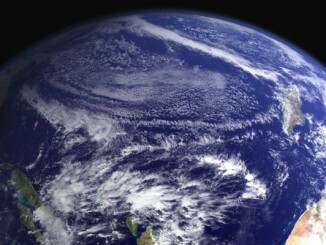 Two researchers at Ohio State University believe that Earth was formed with water in its interior and propose a mechanism for bringing it to the surface.